At promotions for Thackeray, Amrita was seen in a Lajoo C sari and blouse, one that she wore with Aquamarine jewellery. I wish the sari wasn’t as sheer so that the blouse contrast would feel more subtle, but she looked lovely nevertheless. Agree? 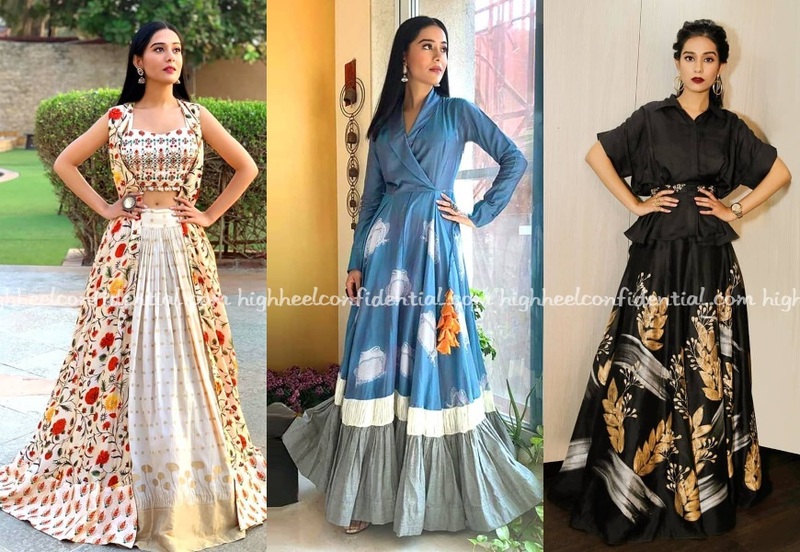 Amrita has been busy promoting Thackeray and here are a few of her outfits and of them all, our favorite was the black Devnaagri and the hairdo was what made it stand out more. 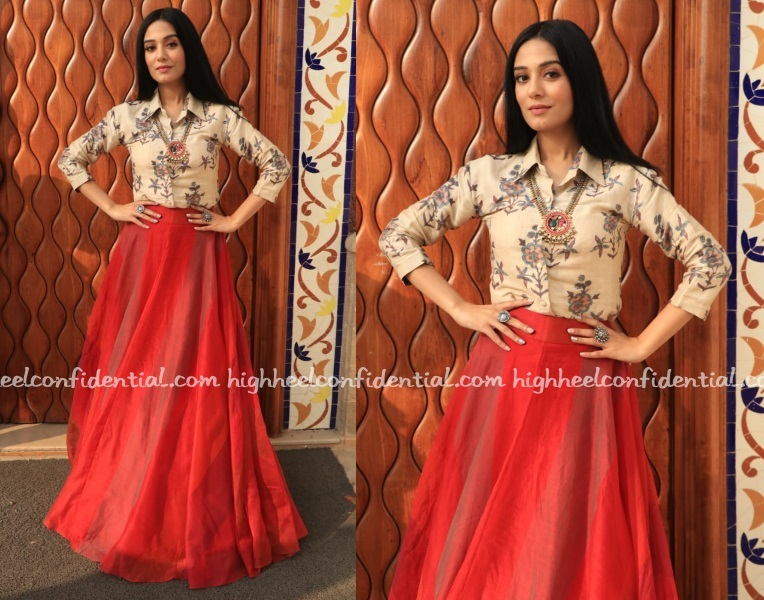 At the music launch of Thackeray, Amrita was seen in a Tarun Tahiliani floor-length anarkali. Considering the anarkali had a lot of embellishments, keeping everything else simple was a good move. She looked great. At the trailer launch of Thackeray, Amrita was seen in a pink sari from Jade paired with jewellery from Aquamarine. I, normally, am not a fan of full-sleeved beaded blouses but she looked lovely here. At promotions of Baadshaho on Wednesday, Ileana was seen in a Babita Malkani jumpsuit worn with a statement belt and a retro wavy do. The look was basic but oh so striking.